On the backseat Angeliki is sending messages from her phone to inform our parents that we have landed. We are going to spend three days in Kosovo and then continue our trip to Montenegro and Croatia. The taxi is going through Pristina’s recently developed industrial park. Soon after, we pass by a lively street market. Literally a street market insofar as the goods are piled on clothes laying on the sidewalk. Knots of people gather around the stands selling fruit and vegetables, second hand clothes, shoes and old pieces of hardware. What draws our attention though are the roosters and hens in the cages and the lambs on a leash. The rural scene outside clashes with the one inside: we’re comfortably seated on leather seats in a brand new Mercedes with onboard Wi-Fi and the radio playing Rihanna’s latest hit. At a certain point the driver points out a giant billboard on the side of a building. 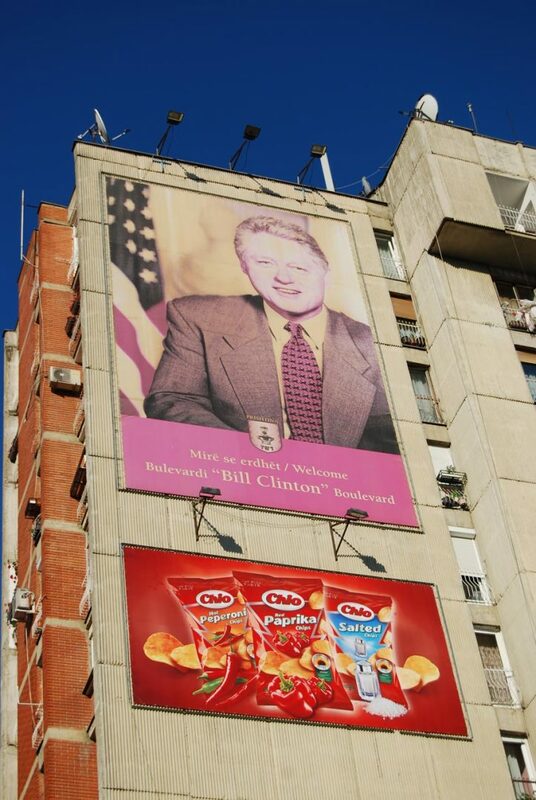 A smiling Bill Clinton welcomes people in Albanian and English. At the foot of the building a statue portrays the same US president greeting a crowd. The road we are driving along is named after Clinton too. Due to the major role played by the US and NATO in supporting Kosovo’s cause for independence, Americans and Europeans are very well-liked here; at least by the ethnic Albanian Kosovars who nowadays make up over the 90% of the population. 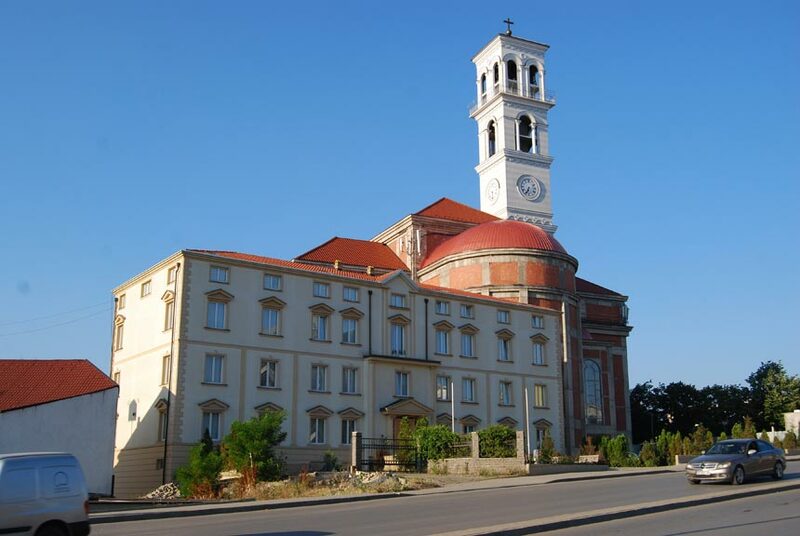 When we are close to the hotel, I notice a huge church with a tall belfry towering the surrounding buildings. “Such a huge church in a Muslim-dominated country?” Yes, the taxi driver confirms: it’s the new Roman Catholic Cathedral of Blessed Mother Teresa, which—upon completion—will be one of the biggest churches in the Balkans. Roman Catholic Cathedral of Blessed Mother Teresa. Strolling around Pristina turns out to be quite enjoyable. In the area around our hotel dozens of embassies and international organizations and institutions have their headquarters. Perhaps it’s the large presence of international staff which makes Pristina’s dining scene actually pretty good. We take a quick look at the menus and are amazed by the low prices. A lunch or a dinner here costs as much as a soft drink in other European countries. I look forward to the hearty meals we are going to have on this trip, whereas Angeliki goes “Damn it! I’ll put on at least two kilos!” Here and there new tall buildings jut out in the city’s skyline. 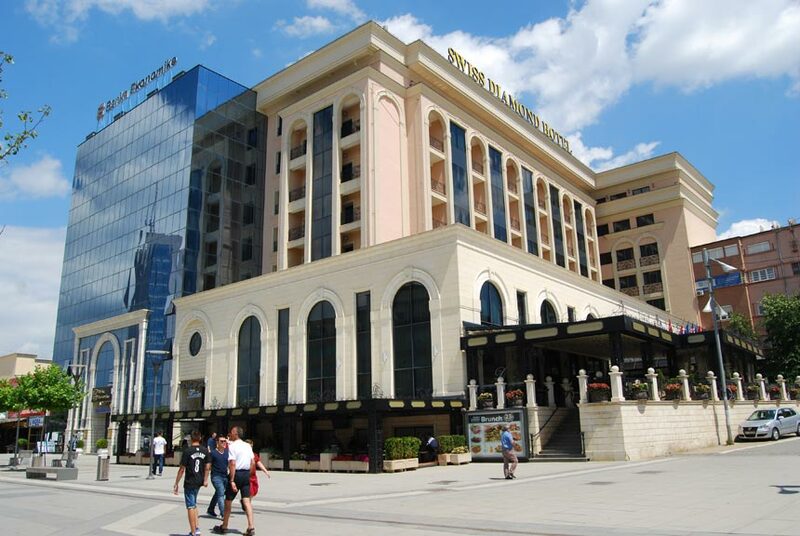 Many are still being built and coming back to Pristina in five or ten years I would expect to find it quite different. Pristina’s old town was heavily modified by Yugoslavia’s Communist regime relying on the motto: destroy the old, build the new. Today, the Kosovo Assembly and other government buildings are found in the area of the old Grand Bazaar. The few surviving historical buildings are concentrated in a small area, walkable in one or two hours. 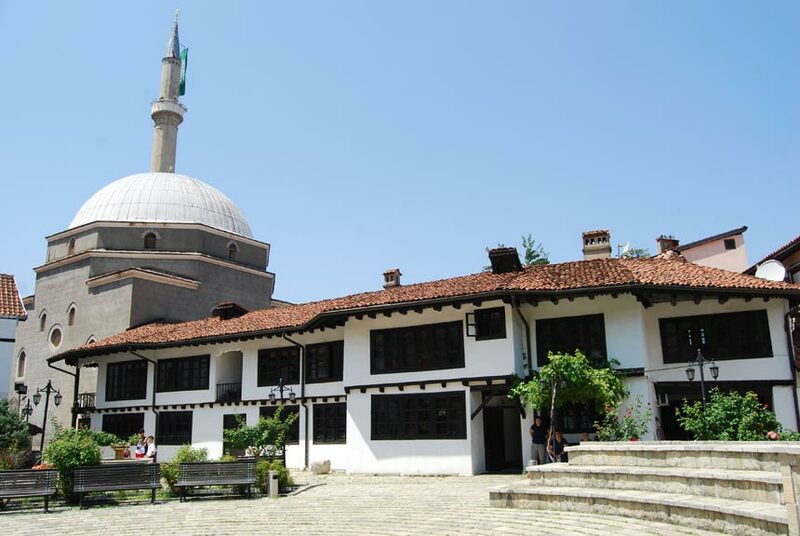 Kosovo’s National Museum, hosted in a fine Austrian-Hungarian building is under restoration as well as the Bazaar Mosque and the Great Hamam of Pristina. At least we manage to see the newly restored Fatih Mehmet Mosque, built by the Ottoman sultan who conquered Constantinople (today’s Istanbul, where Angeliki and I live). Traveling around the Balkans, it’s interesting to see the cultural bond linking countries as far away as Turkey. 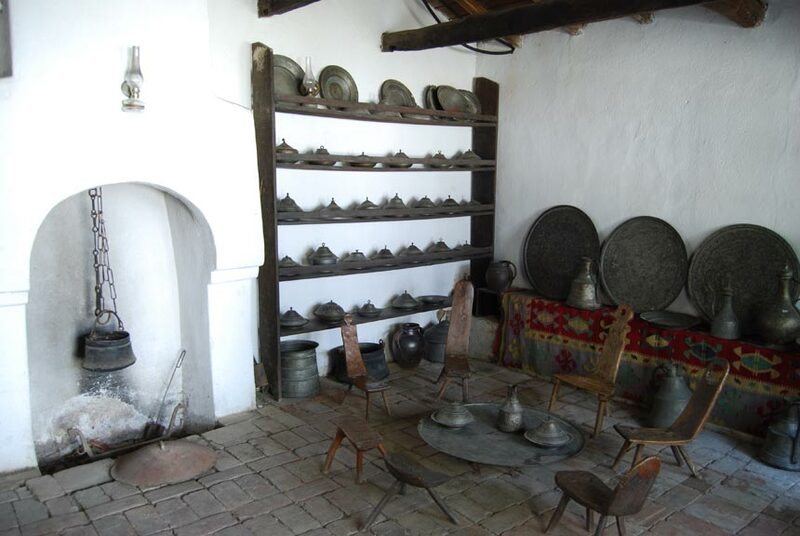 Almost by chance we bump into the Ethnographic Museum, two beautiful Ottoman buildings displaying an interesting collection of traditional furniture, clothing, musical instruments, weapons and everyday tools. After the tour, we have our little share of fame when Kosovar TV interviews us. In the afternoon, we chill out in one of the many stylish cafes on Bulevardi Nene Tereza, a favourite hangout for the locals. 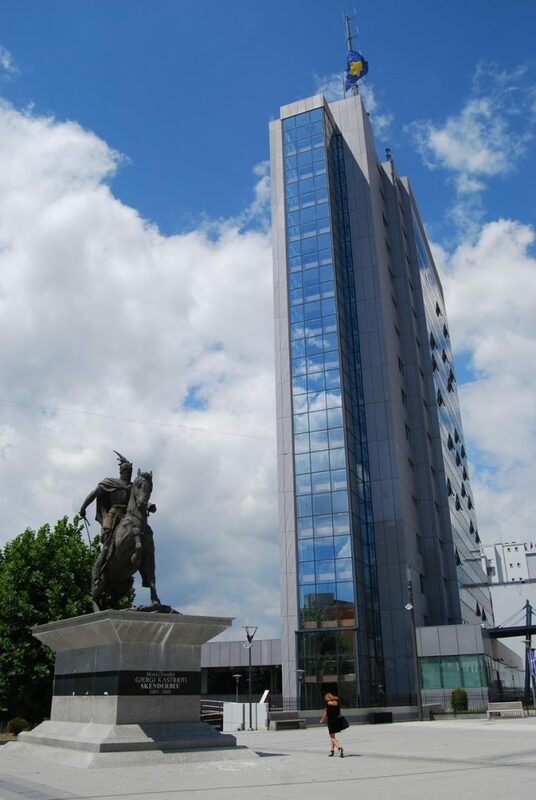 Along this pedestrian street are old and modern buildings and monuments like the equestrian statue of the Albanian hero Gjergj Kastrioti Skanderbeg. 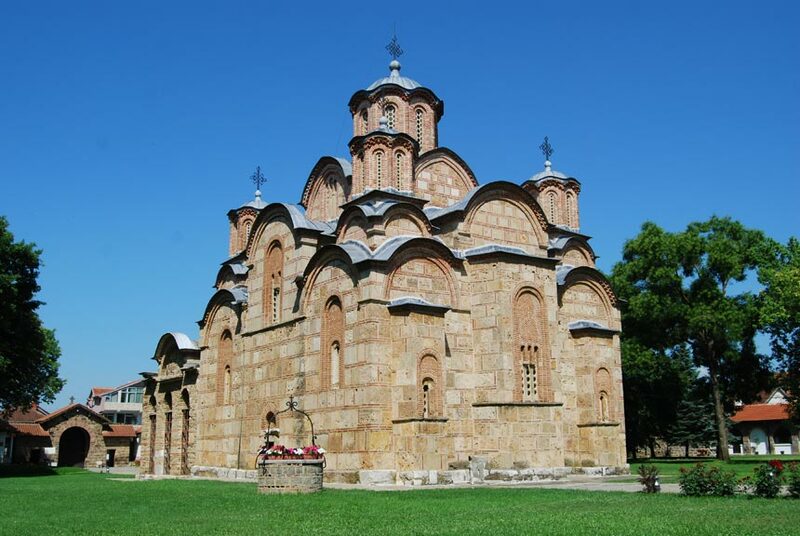 The following day we take a bus to Gračanica—10 km from the capital—to visit the eponymous Serbian-Orthodox monastery, a 14 century UNESCO World Heritage Site. The flags fluttering along the main road and the shop signs in Serbian indicate that we’ve entered a Serbian enclave. Initially the nun who welcomes us at the entrance refuses to let us in because we are not wearing appropriate clothes. As soon as she learns that Angeliki is Orthodox, she hands us two scarfs to cover our legs and escorts us to the church. It features a striking structure with alternate layers of brown bricks and stones. The centerpieces of the monastery, however, are the marvelous frescos covering nearly the whole surface of the interior. Although located only 15 km from Pristina, it takes us almost one hour to reach the Gadime caves as the bus makes an absurd detour through mud and straw houses and country roads. 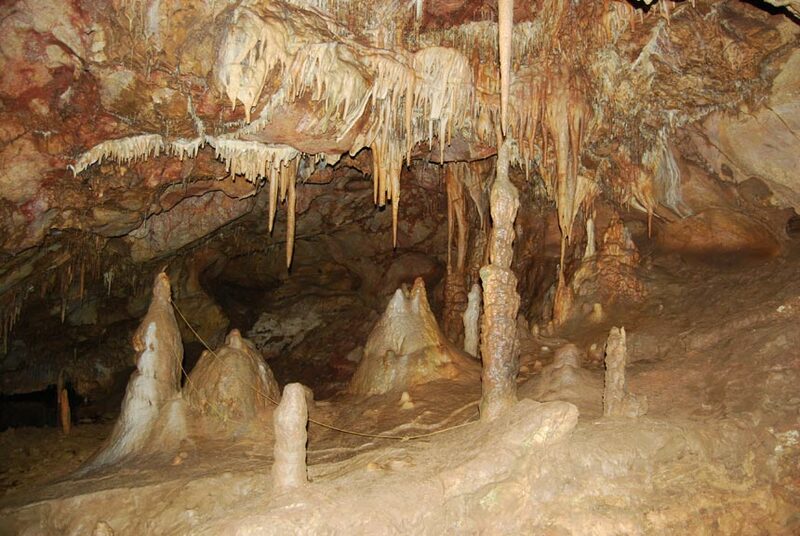 The caves are certainly fascinating—if only the guide knew a word of English! 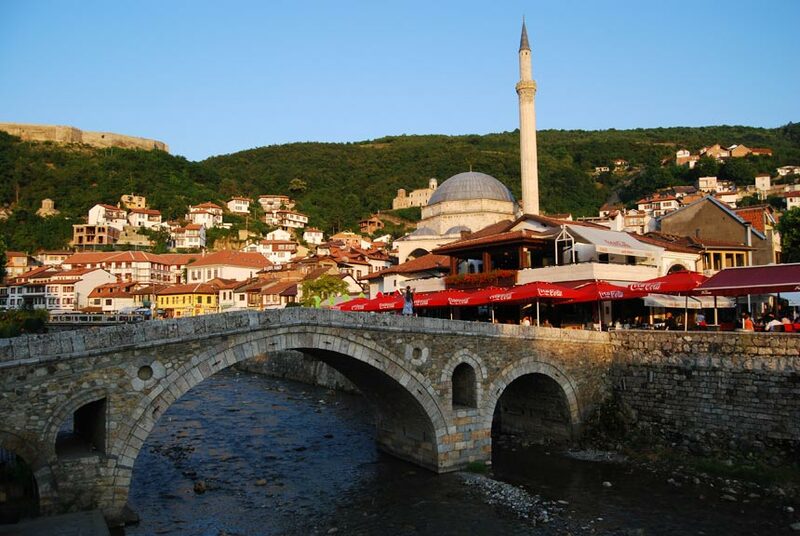 Later on we arrive in Prizren, Kosovo’s second largest and most charming city. 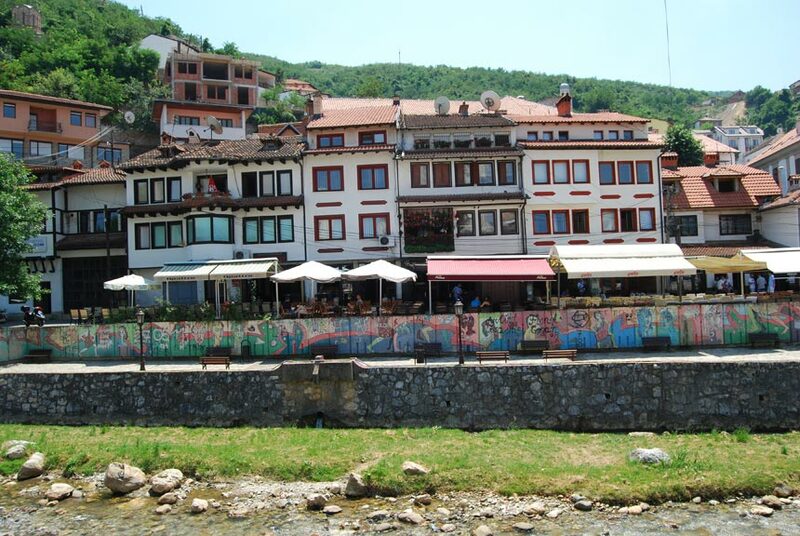 Prizren owes a great deal of its appeal to the Bistrica River running through the old town. Several bridges span the river, the most beautiful being an old stone bridge. Crossing this bridge we get to Shadervan, a square with a fountain which is the heart of the old town. Apart from the Ottoman mansions, scattered around the old town are ancient monuments, Turkish baths, dervish lodges, mosques, Catholic and Orthodox churches. 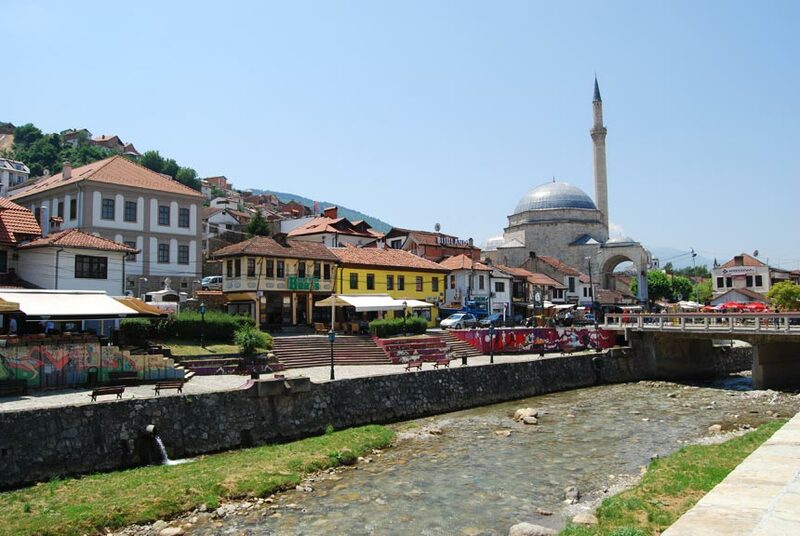 Despite its long tradition of peaceful coexistence among different religious and ethnic group, war has taken its toll in Prizren as well. 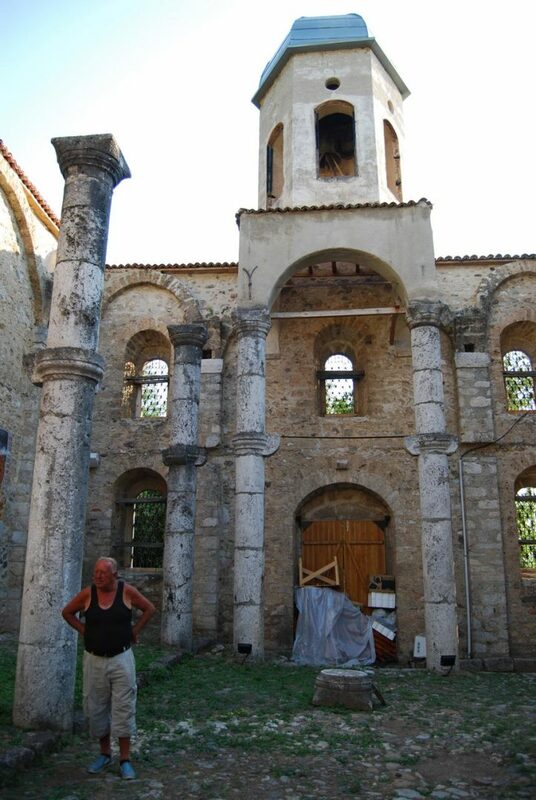 During the Kosovo war and the 2004 unrest a large part of the city was damaged or destroyed, in particular several Serbian-Orthodox churches including the UNESCO protected Our Lady of Ljeviš. Some incredible locations, like the Albanian League of Prizren Museum, have been rebuilt, some still lie in ruins behind barbed wire fences. 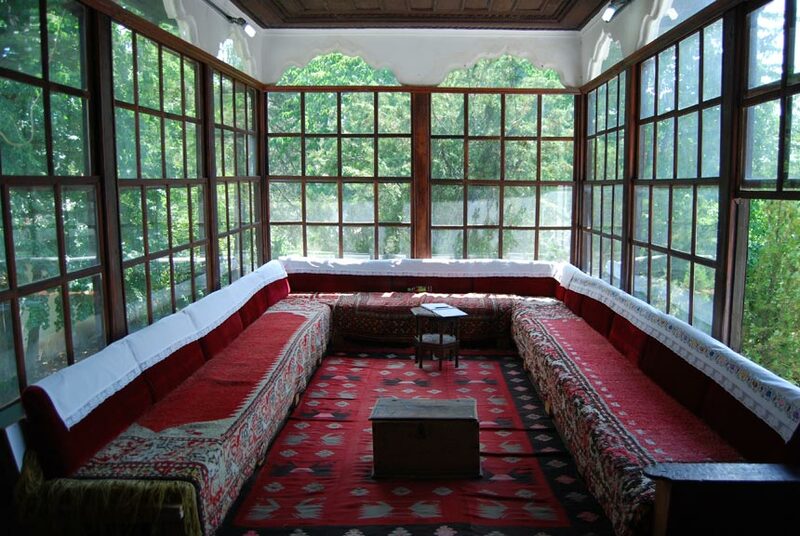 Albanian League of Prizren Museum. On our way up to the castle, we make a stop at the Church of the Holy Saviour, one of those heavily damaged during the 2004 unrest. The keeper opens the gate and show us around what is left of the church. The ceiling is gone. 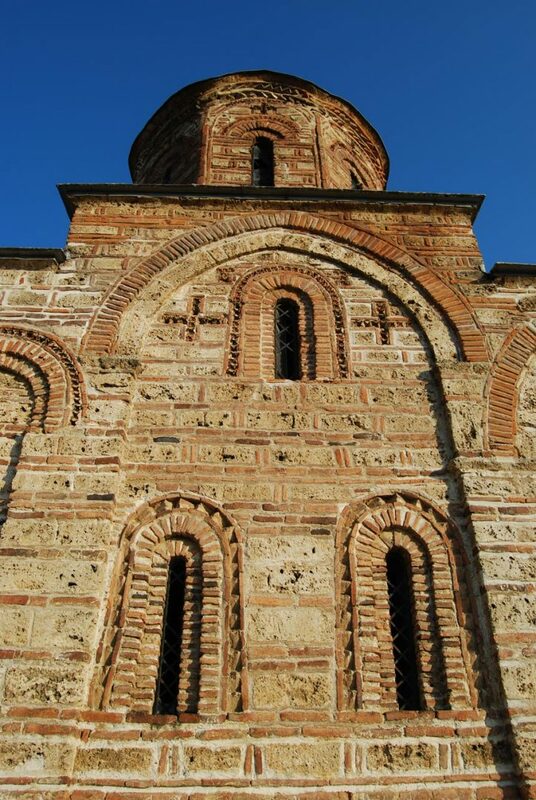 The precious Byzantine frescoes are barely visible on the walls of the belfry. Some liturgical music is playing in the ravaged nave. Church of the Holy Saviour. While I take some pictures, Angeliki has a chat with the keeper and his friend, two white haired Serbs in their sixties with a red tan acquired spending countless hours outside. They tell us about the war, the destruction of their homes, schools and churches, the thousands of Serbs fleeing the country, but also about the slow, still ongoing reconstruction. It takes very little to unearth tragedies and wounds yet to heal. With this feeling of melancholy, Angeliki and I climb the last stretch of the slope up to the Kaljaja, the castle dominating Prizren and the surrounding valleys. Here we watch the sun set behind the mountains in a flaming sky. When the lights of the city start to shine in the twilight, it’s time to kiss Kosovo goodbye: an hour later we are catching a bus to Montenegro. Dario De Santis is a longtime Outpost contributor and European travel guide. An architecture and history buff, he probably speaks more languages than you do.